I can’t believe my first weekend of yoga teacher training is here and gone. It was honestly an amazing weekend full of smiles, making new friends, and “aha” moments. It fed my soul and I left on Sunday knowing I made the right choice to go on this journey. The loft we practice in. Yes, there are still questions and curiosities of wow will I actually be able to teach this to others? Is there really that much that goes into the simple standing pose of tadasana? But I have to believe that this is a process and trust this process. I am writing this post because I know when I was researching Yoga Teacher Trainings for myself, I wanted as much information as possible. What do you learn, what does the day to day look like, etc. 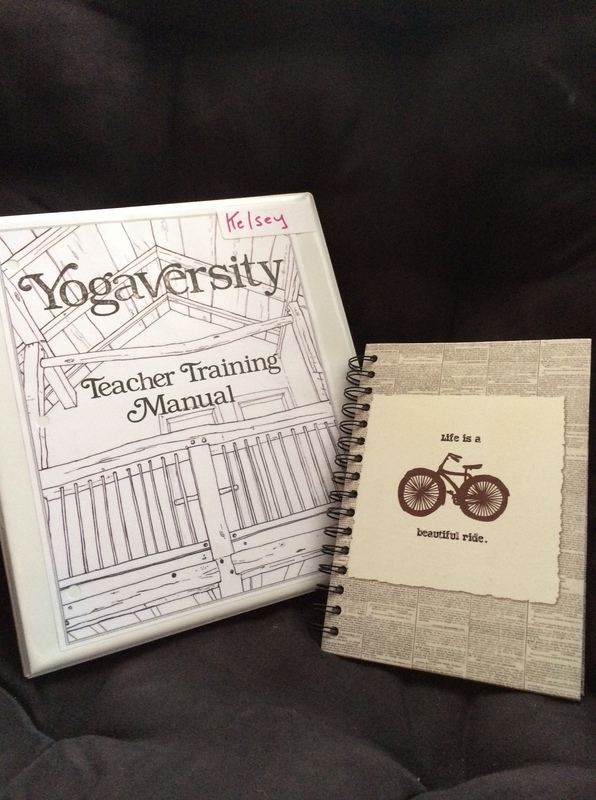 So I present to you Yoga Teacher Training – Weekend One. Introductions: We all went around and introduced ourselves and said what we were most excited for. I’m awful when it comes to this type of thing. I said I am most excited to deepen my practice and learn how to teach that to others (duh Kelsey that’s what the entire training is intended to do). Manual: We also received our manuals which are awesome. Mitchell and Tracey (our amazing teachers) created this 150+ manual over the years but told us this year it is by far the most detailed and elaborate. It has pictures of every yoga pose we are going to learn – so cool! Practice: We started with an hour long practice to get our bodies warm and moving. Alignment: We learned about the spine, the different parts to it, and the natural curve that we are always trying to maintain through yoga practice. Mitchell and Tracy broke down tadasana, urdvha hastasana, uttanasana (the beginning of Sun A) and demonstrated correct alignment (and also incorrect alignment). It’s crazy how much goes into correctly standing in this pose – there are four pages of it in the manual! Discussion: What is Yoga? We had a great discussion about the history of Yoga and what is has transformed in to today and even how that can be different for everyone. I am excited to learn where Yoga originated from and how it’s evolved. I feel like there is SO much to learn. Did you know that Yoga is 3500 years old, but the physical hatha practice didn’t come to be until about 600 years ago? Pranayama: Pranayama is the practice of consciously breathing. Many yogi’s know the one most popular pranayama, the ujjayi breath. Ujjayi is when you breathe in and out of your nose, narrowing the back of the throat. You’ve probably heard Yoga instructors refer to this breath as if you are fogging a mirror. We practiced this towards the end of our Saturday. Meditation: Tracy led us through a meditation. At the end she told us it was 15 minutes! It definitely didn’t feel that long. I hope every time we practice mediation it feels that way! I know I’ve heard stories of people really finding meditation challenging. So far so good! Practice: We had an awesome 90 minute practice to start our Sunday. It felt awesome. 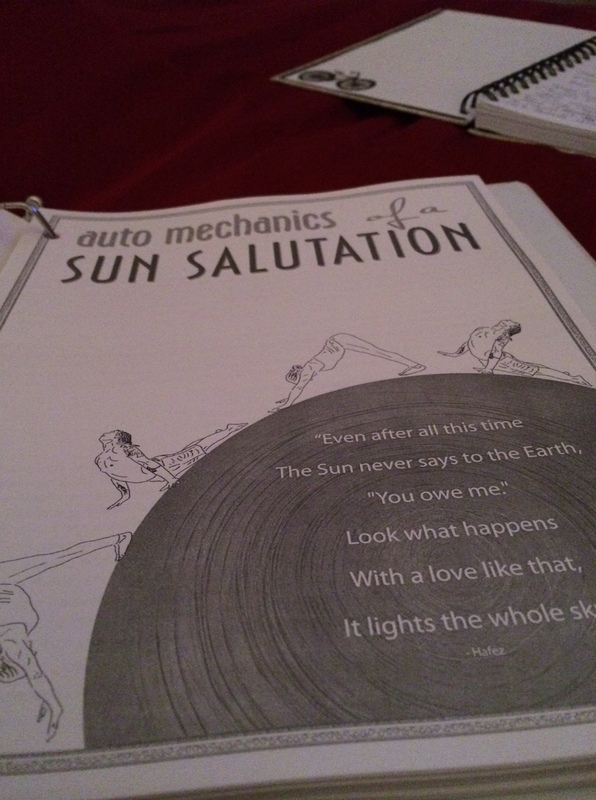 Sun Salutation Alignment: This was one of my favorite learning parts of the weekend. Mitchell and Tracy broke down caturanga, upward dog, cobra, down dog, and all of the transitions in between. Learning the correct alignment of all of these poses has been so eye opening. You realize that you can easily do poses incorrectly for years. Until I started coming to this studio I was basically doing caturanga wrong. Sometimes you really have to un-learn bad habits! Mythical Interpretation: We learned the story of Ganesha, one of the Hindu Gods. This was a part of the weekend that I probably wasn’t expecting but really enjoyed. Mitchel told us two different stories. They’re playful and entertaining stories that he translates and completely relates back to life, even modern every day life. This first weekend and introduction into Yoga Teacher Training was amazing. It’s so refreshing to learn familiar things, unfamiliar things, and put yourself in a position to be open to it all. It’s hard to put in to words how excited I am for the next five months but I look forward to sharing the journey! This is a really great breakdown! I’m always kind of thinking about becoming certified at some point, but I’m always wondering just how ready and/or skilled do I have to be before actually making the decision to do the teacher training. 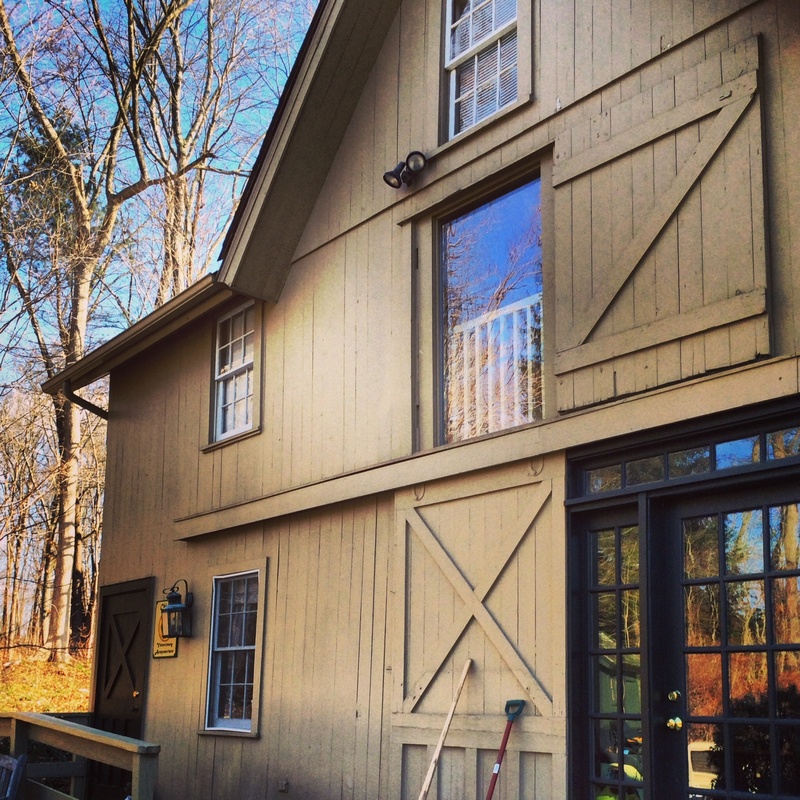 And WHERE is that amazing loft?! Looks like a perfect place to do yoga all weekend! Glad you liked it! I wasn’t sure how much detail to share or not…but I know I was always looking for a sort of break down when I was contemplating Teacher Training. I’ll do a re-cap every weekend (we have 10) so hope you enjoy! 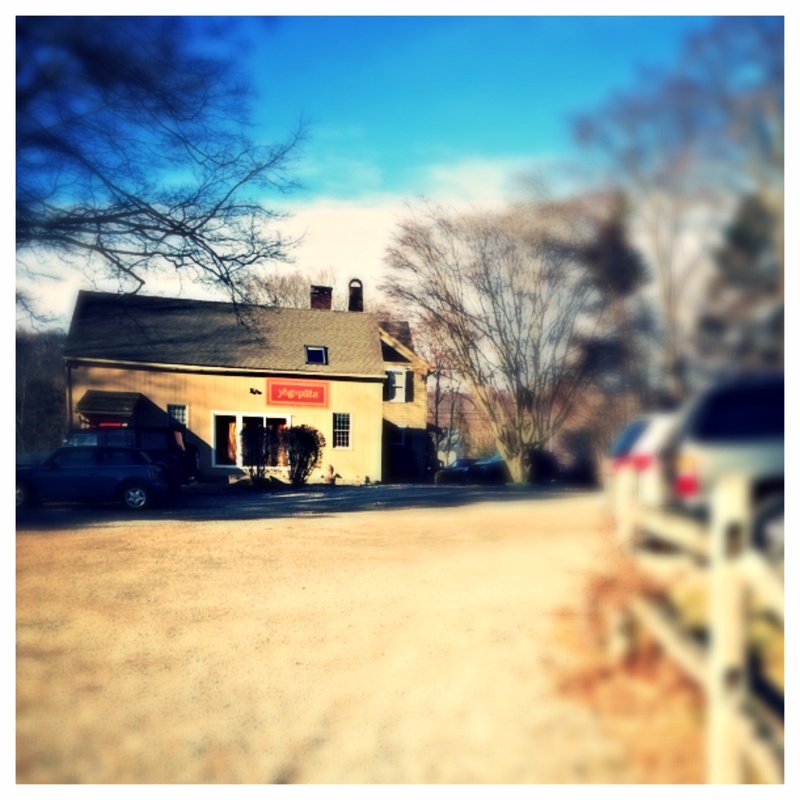 It’s in Wilton, CT. An amazing studio called Yogapata – beautiful space! That was a really great breakdown! I’m always sort of thinking about becoming certified, but I also wonder just how skilled do I have to be at the point where I decide I’m ready for the teacher training. Also, WHERE is that amazing loft?! Looks like the perfect place to do yoga all weekend! Sounds like you had a great first weekend! I’m SO excited to follow this journey with you. What kind of yoga will you be certified in when this is done? Thanks Jessica! I’m learning vinyasa which has roots from ashtanga. That’s awesome that you signed up for 3 months! I remember when I first started practicing. I started going 2 to 3 times a week and never stopped. You’ll start to really depend on it because it feels so great! Sounds great. Really interesting post too, I learnt a lot. You are clearly a natural teacher! Thank you for positing this. I practice at Yogapata too. I was hoping this was my time to deepen and learn too.. It was not to be. Enjoy this incredible gift you are giving yourself- I will enjoy reading about it. Thank you for the kind words. Not to sound cliche but when it’s meant to be it will be. Hope to meet you at the studio!